Meet Becki Chernoff a.k.a. The Benz Hunter. 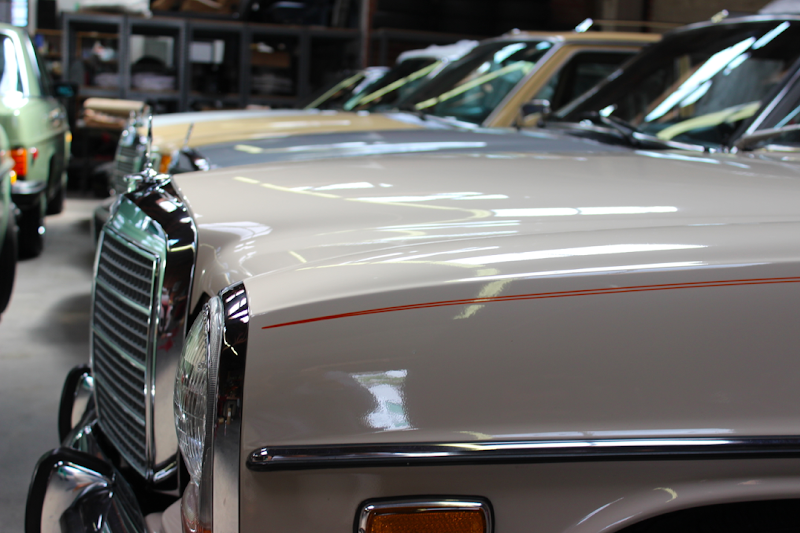 Becki works at Mercedes Motoring and scours the country for vintage Mercedes-Benz diesels produced between 1968 and 1985 with original paint and low mileage. She's found cars everywhere from Fairbanks, Alaska to North Dakota to just a few miles from their Los Angeles shop. 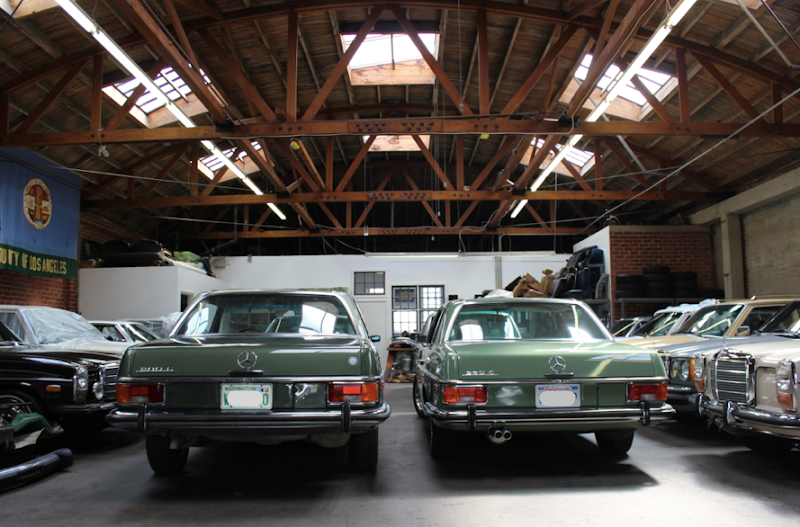 The cars get driven to L.A. by owner J.G. Francis and then are lovingly restored back to factory condition. 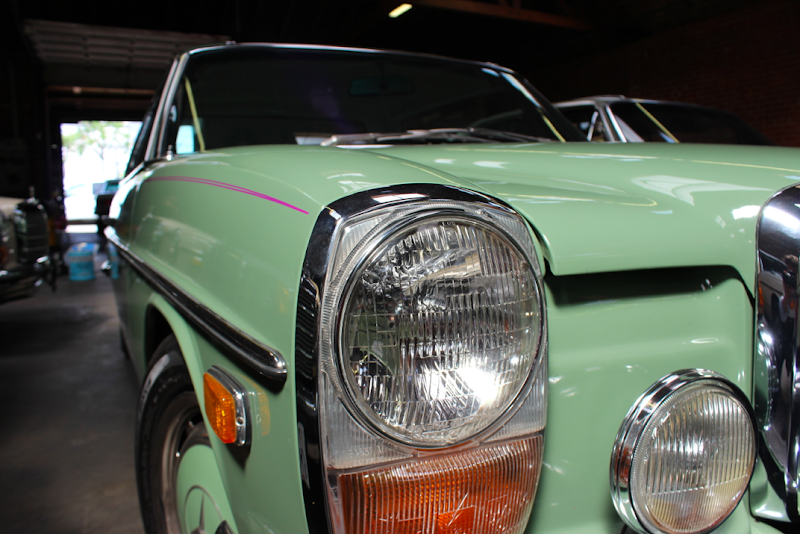 The Mercedes Motoring team simply believes that these cars are the best mass-production cars ever made. Or in Becki's words, "they're bullet proof and will last forever." I have to say, it's one thing to see a vintage car, it's quite another to see one over forty years old in mint condition with its original paint, the interiors alone left me speechless. It's like going back in time. Becki studied mechanical engineering and then worked at Ford in Detroit before coming on full time as a Benz Hunter for Mercedes Motoring. I had to ask her what Benz she would like to own for herself. 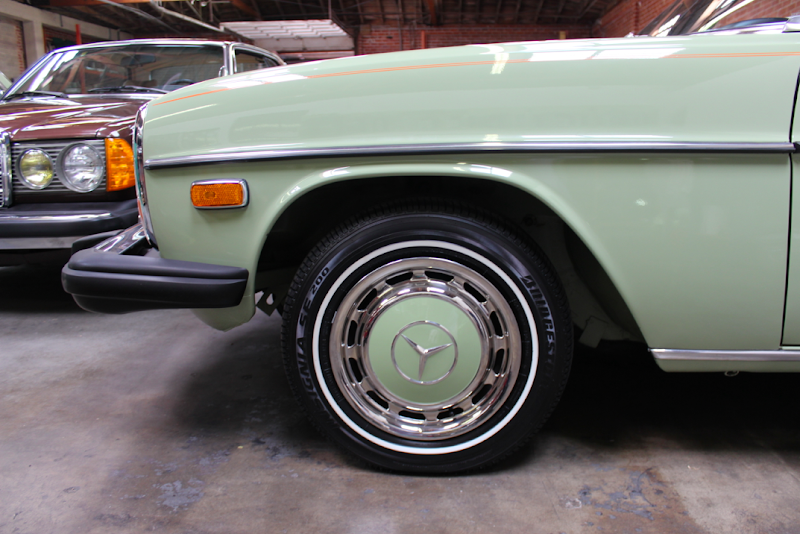 Her answer: A 280C Coupe in Dark Olive Green. Check out all the goodness on the Mercedes Motoring gallery, my photos below are only a taste of what has been through the MM garage. 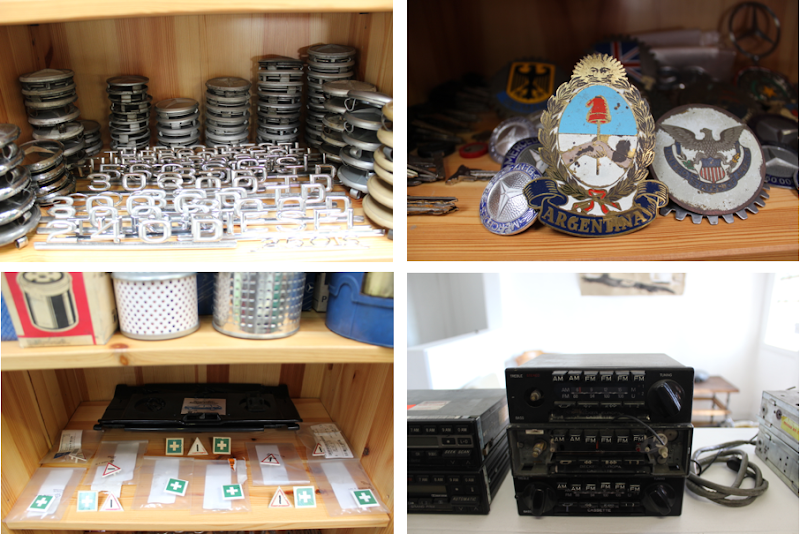 It's all about the details: original model numbers, grill badges, first aid icons, radios. 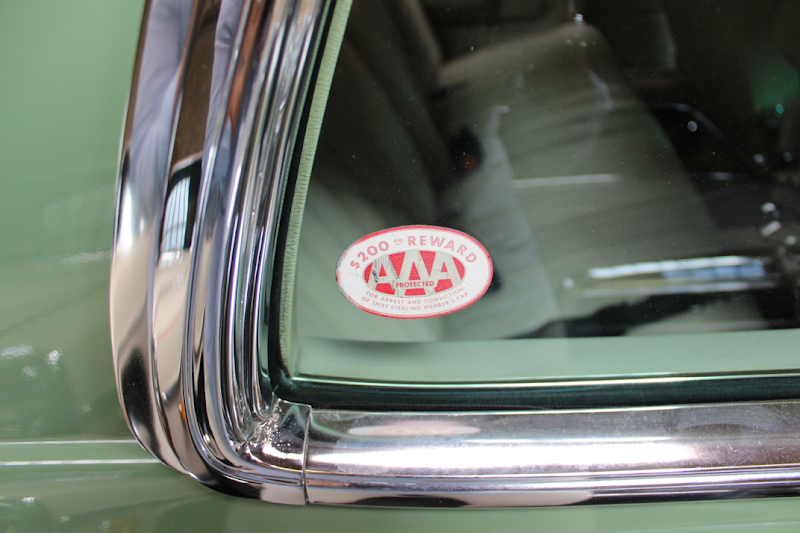 Even the AAA stickers are original. 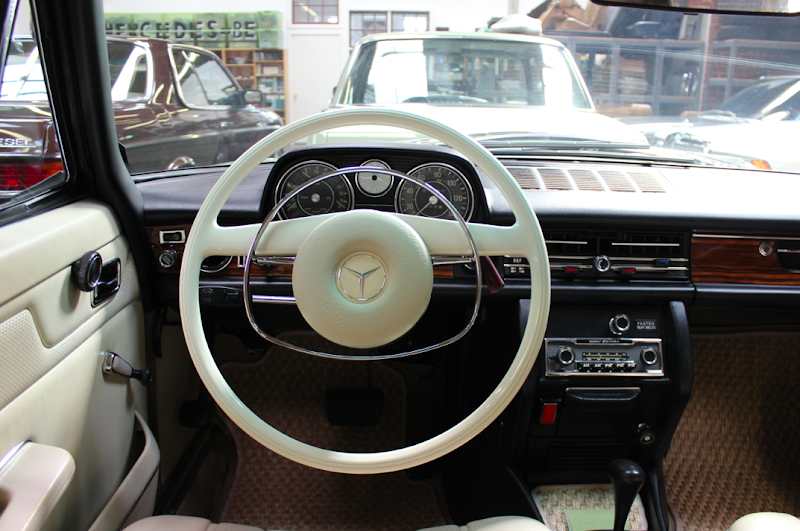 vintage mercedes make me weak in the knees. i have a blue '84 and a white '83. one has well over over 500,00 miles on it (odometer broke about 5 years ago). best cars ever. My grandpa has an 80's Mercedes like that. It's a beauty! Wetting myself over this grandeur. This is amazing. The cars are GORGEOUS, and I admire the passion behind Mercedes Motoring. Props to them! 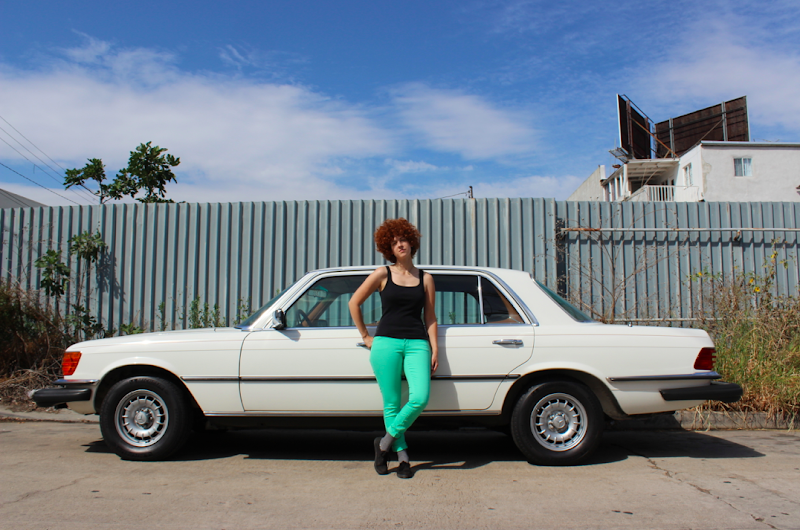 My mama drove a mid-80's blue Mercedes when we were kids–it still sets the family standard for new vehicles! I drive an original 250c coupe, gray with the original red interior. It's not a diesel , though. The best thing? It only has 19,800. original miles. I'll never part with it. It belonged to my mother. Runs like a top. What a great post! I drive my mothers 1970 250c coupe, dark gray with red leather seats. It's only got 19,800 original miles on it! I love it. I'll never part with it.